Most people know me as presentation and media interview coach here in Europe, but many don’t realize my back ground in the television business back in the U.S. and how that has helped me to be very good at helping you today. I learned all about developing leadership and communication skills firsthand as a United States Air Force Captain, aircraft commander and instructor pilot. However, I’ve spent most of my life as a television producer/director, coaching all kinds of people, both professional and non-professional, to communicate their story in the best possible way. Over the years, I’ve done just that at local public television stations in the Mid-West. After that in Chicago and later in the “Big Time” in Hollywood, New York and London. 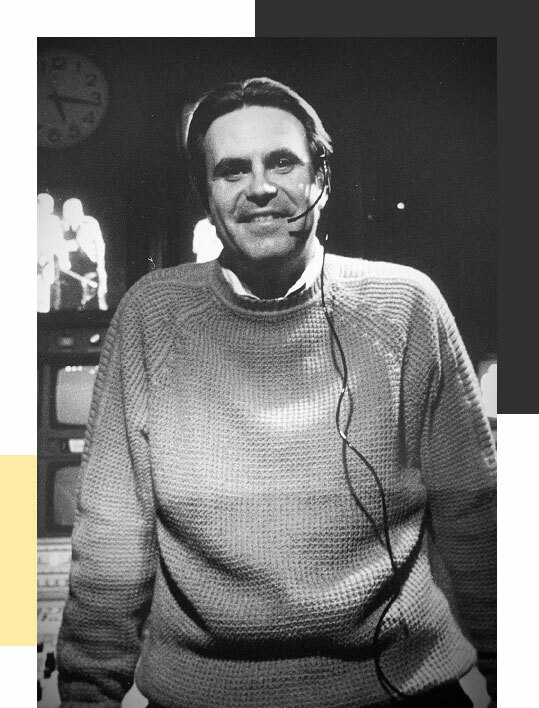 I directed and national produced programs for CBS, ABC, PBS, HBO, Showtime, Arts & Entertainment Channel, The Disney Channel and more. I’m a member of the the Directors Guild of America & the American Academy of Television Arts & Sciences. Act now and get a free introductory session with me. Book a short call or video chat so I can learn more about your needs and goals. The objective is to help you choose a coaching / training program so you can achieve winning results during future presentations. CONTACT ME OR BOOK A CHAT TODAY!